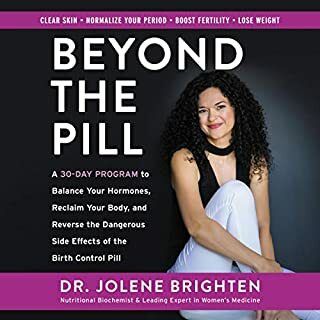 Most people’s busy lives, combined with the absence of information on the subject of PCOS, has led many women to an unexplainable, uphill battle against acne, depression, irregular menstrual cycles, and weight gain. Even worse, infertility can be a very possible, albeit reversible, symptom of PCOS. 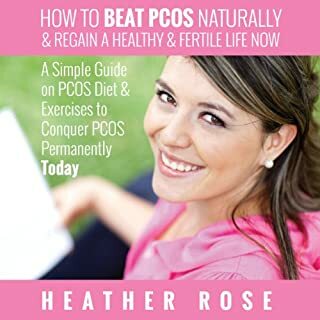 In this book, you will find everything you need to know about reversing PCOS. 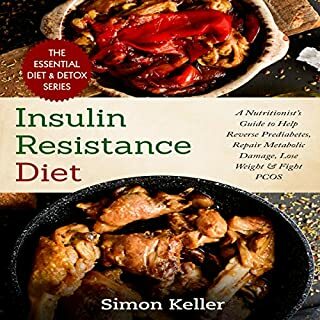 Imagine how different your life would be if you could heal your metabolic damage, help reverse prediabetes, and fight PCOS, simply by changing what you eat. Is this really possible through dietary and lifestyle intervention? Can you genuinely improve insulin sensitivity just by altering what’s on your plate? In my experience you can, and not only that, it’s actually the most effective way to do it. Alongside this, you can also finally lose that stubborn belly fat, energize your body, improve concentration levels, and sleep more soundly. 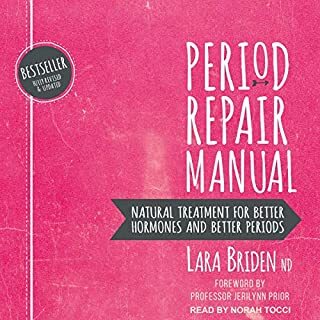 In my audiobook, you will learn a holistic and natural way of managing both your PCOS and endometriosis. Ultimately, you will be able to reverse this disease and take back your health! I go into in-depth details on what exactly causes endometriosis in the first place and its disease process. You will gain insights on how to leverage nutrition, supplementation, and of course, CBD oil to receive the best healing benefits. Join the fast-growing group of women who have decided to take ownership of their health and not be held hostage by PCOS. Polycystic Ovary Syndrome is the most common hormonal disorder among women of reproductive age, and if left unchecked, is linked to serious health issues like infertility, type 2 diabetes, heart disease, and endometrial cancer. In this audiobook, you will learn how to develop healthy meal plans, choose a sustainable exercise routine, relieve stress, address fertility issues, and find emotional support. The Fertility Diet reveals startling new research from the landmark Nurses' Health Study, which shows that the food you eat can boost your fertility. The Nurses' Health Study exhaustively examined the effects of diet and other lifestyle changes on fertility among nearly 20,000 female nurses. Two of the study's lead researchers translate its groundbreaking findings into changes you can put into practice today. This book prescribes 10 simple changes in diet and activity that can increase your chances of getting pregnant. Millions of women suffer from the life-altering, often debilitating symptoms resulting from hormonal imbalances caused by thyroid conditions, adrenal fatigue, menopause, endometriosis, fibroids, PMS, and PCOS, among others: stubborn weight gain, brain and mood issues, low energy, and more. The good news is that most of these conditions are reversible. Holistic nutrition coach Magdalena Wszelaki knows this firsthand. Developing hyperthyroidism and then Hashimoto's, adrenal fatigue, and estrogen dominance propelled her to leave a high-pressured career and develop a new way of eating. A groundbreaking alternative approach to treating infertility using traditional Chinese medicine - on its own or in conjunction with the latest Western-based reproductive technology. Dr. Randine Lewis offers you a natural way to support your efforts to get pregnant. In The Infertility Cure, Dr. Lewis outlines her simple guidelines involving diet, herbs, and acupressure so that you can make use of her experience and expertise to create a nurturing, welcoming environment for a healthy baby. The Infertility Cure opens the door to new ideas about treating infertility. Improve your health the safe way. Find answers to essential questions in this comprehensive bundle to fighting the leaky gut syndrome and reversing polycystic ovary syndrome. Yoga is getting more and more popular in the West because of its many benefits. It can help improve your agility, vitality, sleep, and sexual performance. It also helps curb your food cravings. It also helps increase your flexibility and strength. It helps reduce stress and improve your overall fitness. It can help in the management and treatment of a number of diseases as well, such as asthma, cardiovascular diseases, gastro-intestinal disorders, back pain, and PCOS. This audiobook is the ultimate starter pack guide! Six manuscripts in one book! 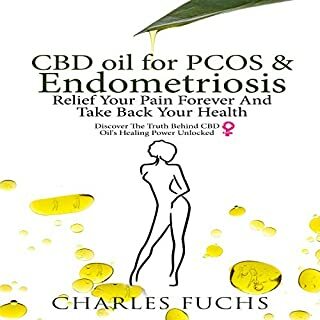 This is the greatest value-packed audiobook you will find on CBD oil and its wide array of versatility - both for medicinal and therapeutic healing properties for ALL types of chronic diseases! Buy this starter pack now and unlock the healing power of CBD oil for almost any ailment you are struggling with right now. Do you have pain or anxiety? CBD oil can fix that too! Discover pain relief and tranquility through the use of CBD oil. Polycystic ovary syndrome, or PCOS, is one of the most common hormonal disorders and the most common cause of female infertility, affecting roughly five million American women. Because its symptoms are so varied - including stubborn weight gain, acne, mood swings, abnormal hair loss or growth, and irregular menstrual cycles - PCOS is often misdiagnosed and treated with "Band-Aid" pharmaceuticals with uncomfortable side effects that only mask the root causes. While there is no cure for PCOS, women can learn to control their symptoms naturally. 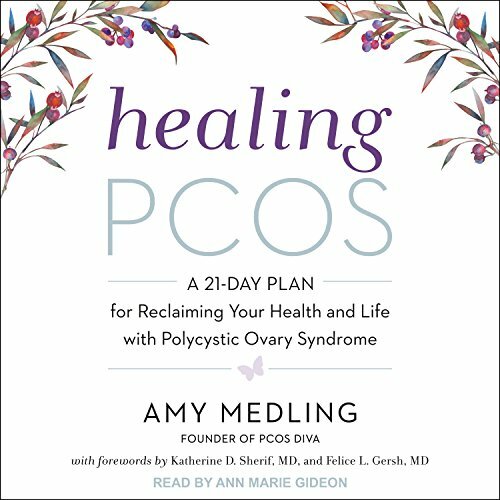 In Healing PCOS, certified health coach and founder of PCOS Diva Amy Medling guides listeners step-by-step through her transformative 21-day plan to successfully treat their PCOS. Grounded in the latest medical research and filled with the knowledge Amy has acquired living with PCOS herself and helping tens of thousands of women take charge of their fertility, health, and happiness, Healing PCOS shows women how to thrive, not just survive, with PCOS. I have been dealing with pcos since I was a teenager but was unaware as to what the cause of my symptoms was until 3 yrs ago when diagnosed. 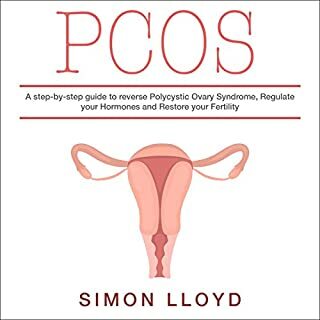 This book is wonderful in explaining what pcos is and it effects on the body and how to manage your symptoms and improve your overall well being. I am looking forward to incorporating these changes in my own life.